Trophy Listings Point to Dishonored's Next DLC, "Other Side of the Coin"
Ten new trophies for Dishonored hint that the title of its second DLC extension is coming soon, and it'll be titled "Other Side of the Coin." 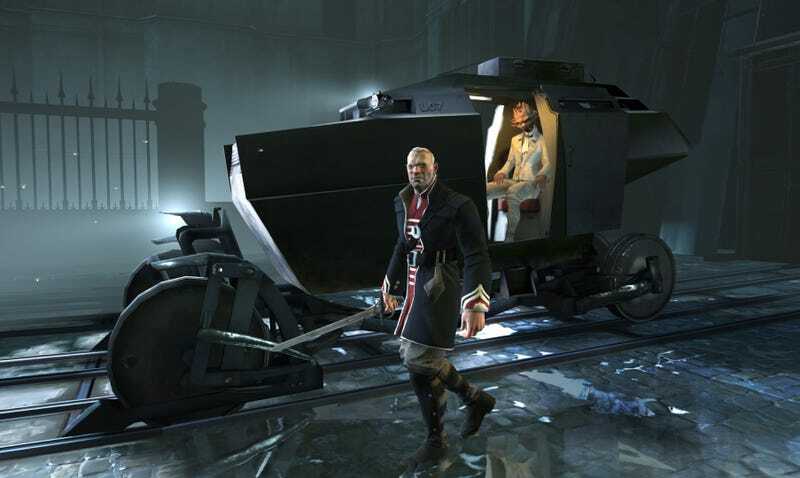 When additional chapters were first mentioned by publisher Bethesda back in the fall, it said the second installment would deal with Daud, the leader of "The Whalers," a group of supernatural assassins. "Make your way through new Dunwall locales and discover Daud's own set of weapons, powers and gadgets in this story-driven campaign. How you play and the choices you make will impact the final outcome," the listing said at the time. Five of the trophies call the series "The Other Side of the Coin." Bethesda has declined to comment on the listing. The game's first DLC package, "Dunwall City Trials," released in December and cost $5.